Kacey Musgraves, the progressive-country-music-rebel, is back with her third major label album, “Golden Hour”, a follow-up to 2013’s “Same Trailer Different Park” and 2015’s “Pageant Material”. She’s regarded as the anti-Taylor Swift and the girl who’s taken a decidedly different lane in the industry than country music darling Miranda Lambert. Particularly because her approach diversifies the sounds and perspectives often heard in the country music soundscape. She’s notorious for her forthright opinions that shine through in her honest lyrics, which simply err on the side of good versus bad. But with all of her soapbox singing and principled lyrics steeped in honky-tonk roots, a lot has happened in her life personally over the last two years. She met a guy at a cafe who’s turned out to be the love of her life. And a songwriting session between the two of them turned into the type of relationship where rings and vows were exchanged. The love affair with her new husband, singer-songwriter Ruston Kelly, is the main inspiration for “Golden Hour”, the 13 track album co-produced with Daniel Tashian and Ian Fitchuk. Recorded in Nashville at a barn studio nestled deep on Sheryl Crow’s fifty acres of land, Musgraves penned a project that answers the question, “If Sade made a country album, what would it sound like?” Neil Young and the Bee Gees also serve as inspiration for the record, though the overall sound comes off more like a counterpart to John Mayer’s catalogue, but in a purely complementary way. The album opens with “Slow Burn”, a song that actually sounds like a golden sunset in Tennessee at dusk. “Lonely Weekend” is so plain and direct that it’s quite genius in pinpointing the space of time when you’re getting to know someone yet life is such that there’s little opportunity to really connect. Written weeks after meeting her new husband, “Butterflies” is a heart-melting anthem that celebrates all things new love. It’s conceptually bookended by “Space Cowboy”, which is a cleverly-penned psychedelic country ode to choosing to let love go when things just aren’t working out. But those feelings of love lost don’t last long when you move to more uptempo songs like “Velvet Elvis” and “High Horse” that give the album the kind of pop hits that work. “Happy & Sad” and “Golden Hour” build on Bee Gees-like bass lines throughout the swing of the chorus and vocal harmonies. The most vulnerable lyrics find their place on songs like “Mother” and “Rainbow”, written for her mom and grandmother, respectively. And she includes “Oh, What A World” and “Love Is A Wild Thing” for the pure country lovers. 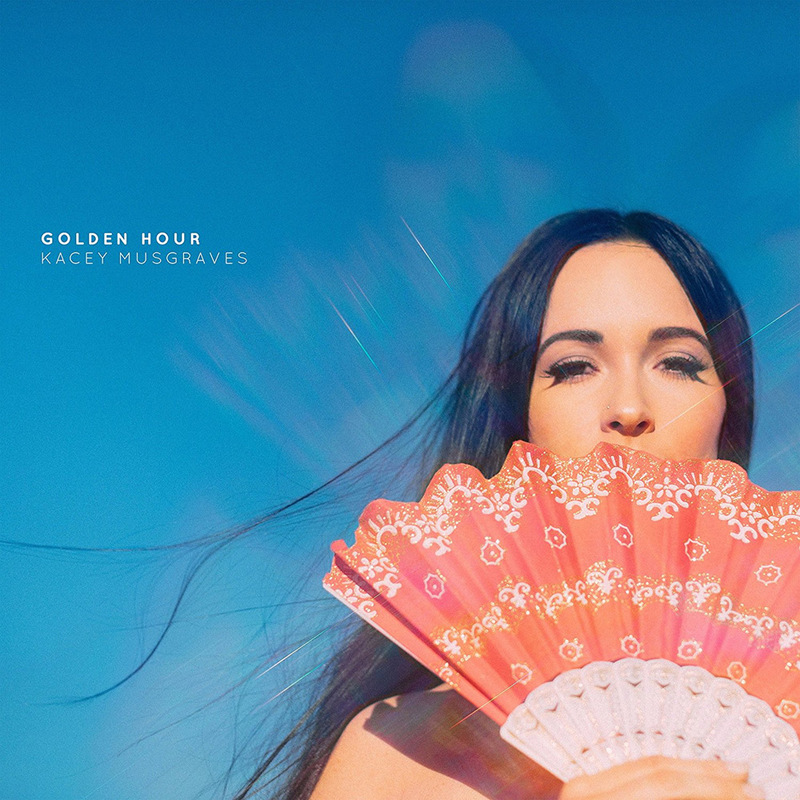 The gamble that Kacey Musgraves took in creating “Golden Hour” will certainly pay off as this is a great collection of songs with crossover appeal.